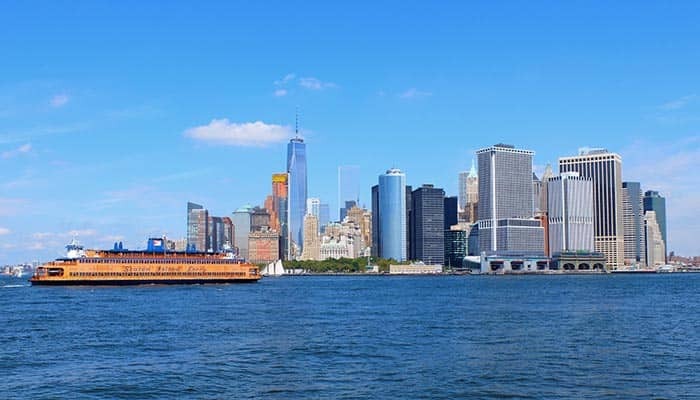 The Staten Island ferry is a free ferry that runs 24 hours a day, 7 days a week between Manhattan and Staten Island. 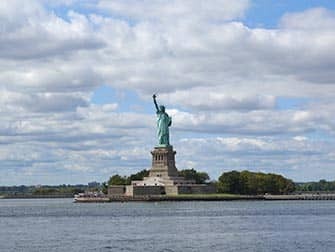 From the boat you will have a beautiful view of the Manhattan skyline and the Statue of Liberty is clearly visible. On board you’ll find a café where you can enjoy a quiet drink during the crossing. To get to the ferry, take subway line 1 or R to South Ferry station, the terminal itself is officially called the Whitehall Ferry Terminal. The terminal is equipped with a waiting area with good facilities. There are toilets and free Wi-Fi is available, so waiting is very comfortable. But the ferry goes regularly, so you usually do not need to spend a lot of time waiting. There are no security checks before boarding, but do expect some security guards at the terminal and around the boat. The ferry itself is very large and can carry many people, even if it may seem like not everyone will fit, most likely everyone will. 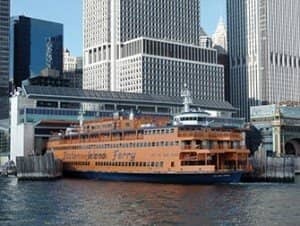 The Staten Island Ferry shuttles a whopping 104 times a day and carries more than 70,000 passengers. During rush hour it can sometimes be very busy, but in those moments the boat runs more frequently (between 06:00 to 09:30 and 15:30 to 20:00 it leaves every 15 to 20 minutes, at other times every 30 to 60 minutes). 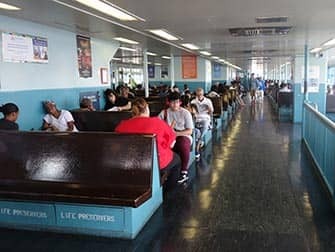 It is not possible to stay on the boat after arriving at Staten Island. You have to get off and back on again through the waiting room, but this is very easy. Eric’s Tip: When boarding, do NOT walk to the front of the boat but stay at the back. You can take the first stairs you see. When at the top walk to the back of the boat (the side facing the terminal). If the doors of the back deck look closed, try and open them. You will have a wonderful view of Manhattan and the Statue of Liberty. In Winter, those doors (at the front deck then) are closed on the way back, because it is often too cold. So you only have one shot: on the way there!